Come and join the party with The Humphreys Dance Crew every Saturday afternoon. 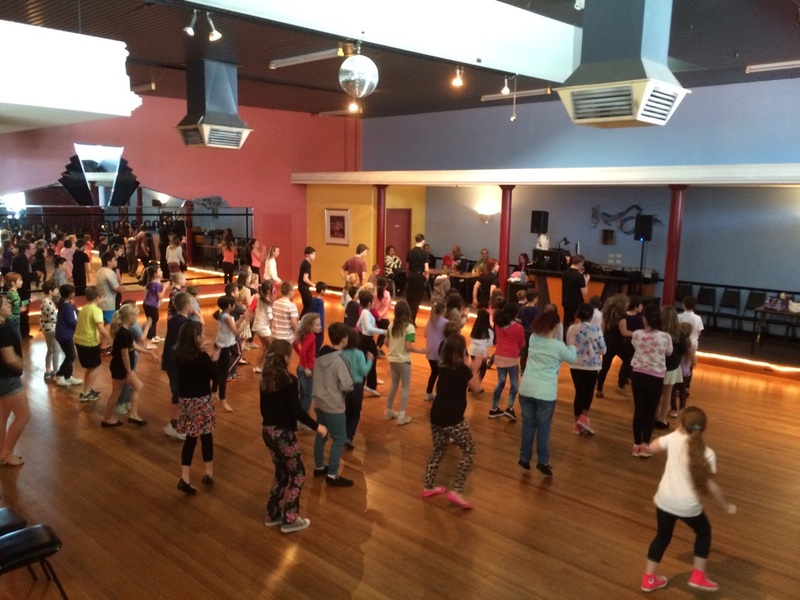 Our childrens classes cover many fun, social children's party dances such as disco, hip hop, latin line dancing and many non-partner dances. Not only do we create an awesome party atmosphere for children to learn popular social and party dances without partners but as you would expect from Humphreys we introduce our students to beautiful and timeless Ballroom and rhythmical Latin American.... A great place to get started on your Ballroom & Latin journey. The General Social Class is the best place to start - Saturdays 1.00pm to 2.00pm - ages 5 to 14. This class is ongoing therefore you may join anytime. We teach dances ranging from hip hop, disco, latin american, street latin, pre-primary program and many more. These are in the form of solo dances and progressive partner dances encouraging the development of social skills, team work, fitness and co-ordination as well as fun! For children that are keen (Year 3 and above), we would also encourage commencement of medal classes. The first social medal class is held at 12pm and will run for one semester. Dances: Jive, Cha Cha Cha, Rumba, Samba, Waltz, Slow Rhythm, Tango and Quickstep. Medal classes are great for technique which improves the quality of their dancing as well as giving them a sense of achievement. 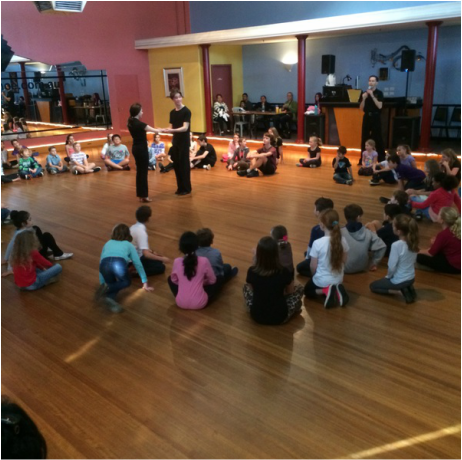 Our childrens classes are run on a Saturday beginning at 12pm. We cater for students starting from Pre-Primary/Year 1 and offer instruction for all levels from our absolute beginners group through to Medals. Check out some great photos and get all the latest info for our childrens classes by joining us on facebook too ! I would like to extend my heartfelt thanks to Humphreys Dance Studio for the opportunity given to my daughter Misty to take part in your Scholarship programme. It has been such a joy to watch not only her, but all the other children progress and gain so much confidence within themselves week after week. To all the Scholarship teachers, you guys Rock!! Your dedication, patients, love and passion for what you do is incredibly inspiring. In fact so much so that after losing my accounts job at the beginning of June I decided to finally follow my passion and have enrolled to do a Diploma in Youth Support/Mental Health, if I can do it with the same amount of passion you guys have for dance, I will be well on my way to having a fulfilling career. Thanks once again and look forward to watching Misty continue her dance journey. "Sometimes it takes the advice from a friend to make you make a change. My daughter Evie is a real little dancer at home and I am glad I took your advice to bring her along to Humphries for a Saturday session. We have only recently started and I can only say that I was impressed from the moment I entered the room. The class prior to the beginners was full of young people , all diligently learning their dance steps with smiles on their faces. It was room full of energy. I was even more delighted when Evie’s teacher was (as we later discovered) Reece. Evie was completely attentive as a result of his teaching style, his enthusiasm and ability to make each child feel like they had learned the Rumba when it was the Hokey Pokey! I loved it, Evie is waiting at the door on Saturday’s and I can only hope that her joy for dance and skills will come to fruition at Humphries Dance Studio." Just writing to express a huge thanks to you all at Humphreys Dance studio! My daughter Lily was lucky enough to be a part of your children's scholarship classes in the second half of 2012 and is very excited to have just gone for her Bronze Latin medal. I cannot thank you enough for the scholarship and for the wonderful introduction we have had to dancing at Humphreys. Lily has enjoyed the Saturday classes immensely and the fun had by all the teachers and children is just amazing. It has been a joy to watch, for myself and for all the grannies and rellies we have brought along (Gran'ma is now keen to join a beginners class herself!!). The young Saturday teachers are just fabulous and they pass on their enthusiasm, humour and obvious love of dance to all the kids that attend. The recent exams were a case in point - what might have been a competitive or stressful exam environment was far from it - rather it was a wonderful chance for the children to show off what they had learnt and applaud each other's achievements. Congratulations on creating such an amazing culture at Humphreys and for giving so many children a chance to dance... We will certainly be back next year. I wrote the letter above in 2012 and every word of it has remained true over our 8+ years of involvement with Humphreys. I am writing to again express a huge thanks to you all - teachers and support crew past and present - for our fantastic experience at Humphreys. Lily has decided to finish up her dancing (for now at least) to focus on other commitments. This was a hard decision (and emotional) as Lily's Saturday classes and our weekly visit to Humphreys has been a part of our world for so many years!! As I wrote below, it has been a joy to watch Lily (and all the kids) grow and learn to dance at Humphreys. All of the teachers have been amazing - passing on their enthusiasm, knowledge and love of dance to their students and creating a fantastic culture at Humphreys from beginners right up to gold and comp level. We will pop in one Saturday soon to say Hi and collect Lil's medal. My son has been dancing at Humphreys for the past 4 years, and has had, not only high quality teachers, but most importantly has been mentored,supported and befriended by their unique community.We only hope we can find a studio half as good when we relocate to Germany .